Our practice’s philosophy is to provide the highest quality of surgical care to our patients. We are committed to helping you achieve the best possible surgical results in a comfortable and friendly environment. Dr. Logue offers the full scope of dental implant services including single implants, multiple implants, and All-On-4® implant cases. The benefits of dental implants is that they look and feel natural. 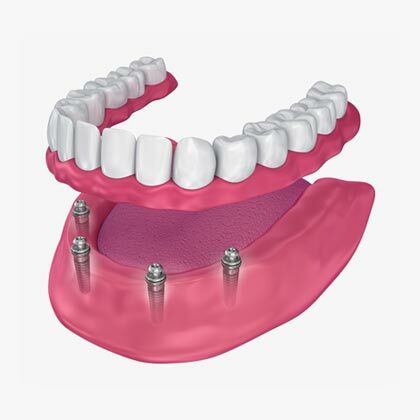 Dental implants are the ideal replacement for missing teeth. You can restore your smile and confidence with dental implants. Since the wisdom teeth are the last to develop, they may not have enough room to adequately erupt into the mouth to become fully functional and cleansable teeth. This lack of room or space can result in a number of harmful effects on your overall dental health. When this occurs they are said to be impacted, indicating their inability to erupt into an alignment which will allow them to function in the chewing process. Dr. Logue offers a full scope of oral surgery services. In addition to dental implants and wisdom teeth removal Dr. Logue performs extractions, bone grafts, sinus lifts, and biopsies. Bone grafts and sinus lifts are often done in preparation for or in conjunction with dental implants when inadequate bone is present. 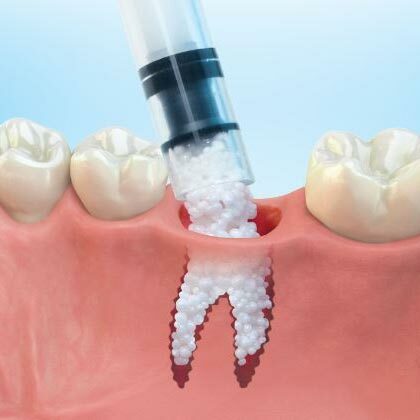 These procedures provide the necessary bone for predictable dental implant success. Dr. Logue and his surgical team provide safe and effective sedation for your comfort. Strict protocols and hospital grade monitoring equipment is used by our highly trained team. 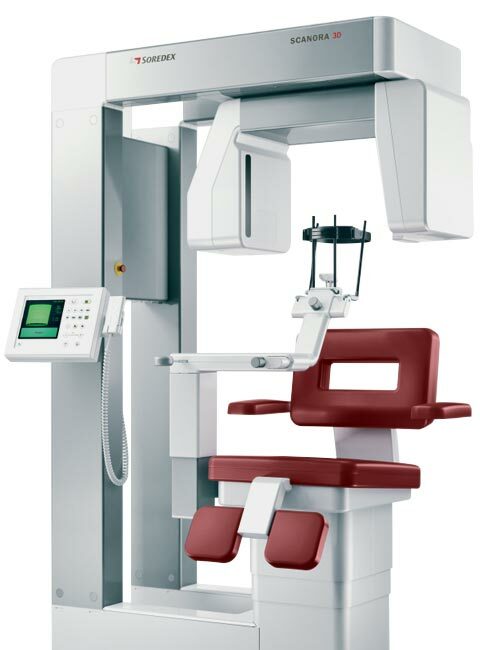 3D Imaging can provide information for the best and most predictable treatment plans, deliver oral surgery services in the safest environment, and aid in a speedy recovery. I had all of my upper teeth removed and four dental implants placed. Dr. Logue and his staff were not only medically extraordinary but the courtesy and additional support received was superior to any medical treatment I ever received. I never had to wait for an appointment, follow up was terrific and now the implants are completely healed and so comfortable. Just a short note to thank Dr. Logue and staff for their professional and caring services: The procedure went exactly as Dr. Logue explained with no after effects and no discomfort. I would highly recommend you and your staff. Thanks again. I have been a patient who had had extractions, bone grafts and implants under the care of Dr. Logue and his staff. I feel I have had the best professional care in correcting my complicated dental problem. His conduct and staff are of the highest professional standard. I would highly recommend Dr. Logue to any patient. I have been a patient of Dr. Logue for almost eight years. Seven implants have been placed for me during that time. He is very professional and friendly, as is his staff. Each procedure was done with little discomfort for me. I cannot praise or thank him enough. My experience with Dr. Logue has been a successful one. He placed 4 implants in my upper jaw where I had no other teeth. He was very professional and attentive. He was there for follow up visits or any concerns I may have. He and his staff are very caring. Do not hesitate to seek his care. My dental implant procedure was a long process from start to finish; however, the final rewards have made it worthwhile. For the first time in many years, I am enjoying a variety of meals which, prior to my procedure, were off limits. My self-confidence has returned because I don’t have to worry about loose dentures when out socially. Over the months, Dr. Logue and his staff were always courteous and professional; this made the process more endurable. I enthusiastically recommend this procedure to anyone contemplating it. Dr. Logue is the ultimate professional; up to date on the latest procedures and technology. He and his staff take great care in providing a sterile environment for procedures. Dr. Logue shows compassion for both the physical and emotional needs of the patient. In addition to all this praise, Mike Logue is truly one nice guy! My experience was excellent. All gain, almost no pain. I had two bridges fail. I did not want to replace them with another bridge risking more failure down the road. I had 4 dental implants placed. My implants feel like natural teeth. Dental implants sound like it is going to be a tough experience, but it was not. Glad I did this permanent replacement. Staff and Dr. Logue were great to work with.